Ready to roll superfood sushi! Short for ideas for a quick and easy lunch or dinner? Well look no further. 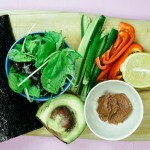 This raw sushi roll is a versatile and delicious recipe that you can chop up and whip together in no time! 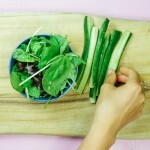 This is my go-to lunch recipe that is super nutritious and great for you! It is also very low in carbs, (for those of you watching your intake). Use this recipe as inspiration to throw together your own delicious creations with all your favourite leftovers! Low Carb: Overdone it on bread? 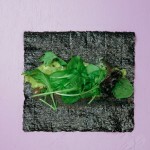 we are trading in the sandwich bread for some low cal, highly nutritious nori! Lemon Juice: The bitterness of the lemon stimulates digestion! Protein: your added choice of protein will help you balance your blood sugar levels and keep you feeling full! 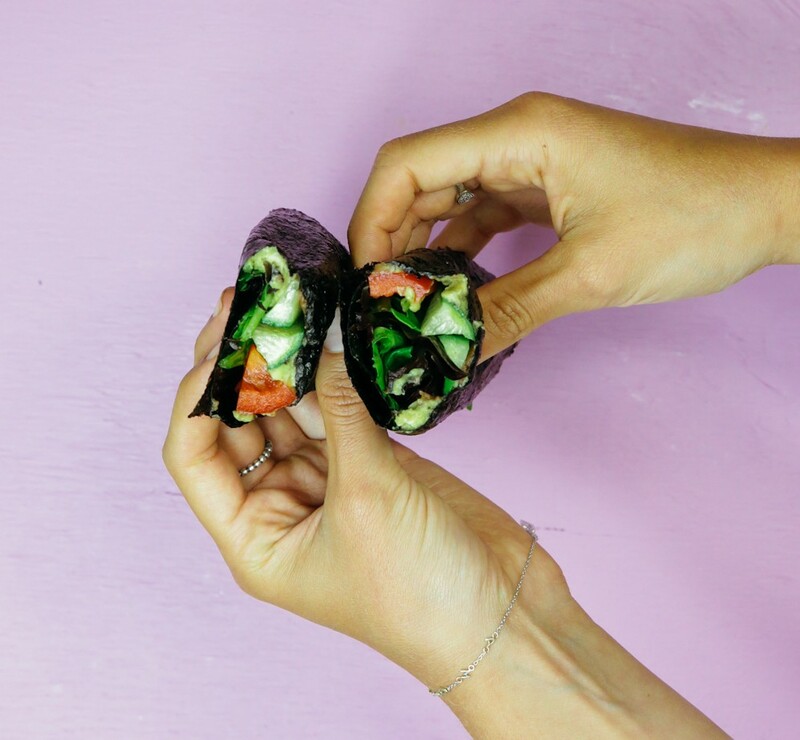 Roll together in a long hand roll – be gentle! Feel free to add your favourite salad dressing, pesto, apple cider vinegar or olive oil to the sushi. Feel free to add some rice quinoa or whatever you have lying around.